We are headed into yet another election in this region, after what seems an endless series of elections. Two years ago we saw the provincial election, in the fall of 2013 we went through a contentious and hard-fought municipal election and now, thanks to our former MP who resigned rather abruptly for reasons unknown, we face a federal by-election. One could get worn down by these ceaseless elections, I suppose, three in less than three years and all promising to have significant impact on our community - but this last one is perhaps the most intriguing, because things that were once taken for granted in this region are not quite so certain any longer. And in my mind he could well be a game-changer for this country. Justin Trudeau, the son of Pierre Elliott Trudeau and Margaret Trudeau, has a distinguished pedigree, no doubt, but he is also bringing new energy and new life to a party that not so long ago was in dire straights. Not everyone is a fan of Justin, or of the Liberal party - but in my household he is pretty much a superstar where the Intrepid Junior Blogger adores him with the intensity other teen girls reserve for that "other" famous Canadian named Justin. I will not hide that I was a fan of his father's growing up, and in fact I always admired both his parents for their intelligence, their strength of character and personality. I was, much like the IJB, always keenly interested in politics, and politicians who could combine intelligence, charisma and a genuine interest in leaving the world a better place than they found it always captured me. I believe PET was one of those politicians, and Justin seems to have followed in his father's footsteps in some regards - but in others he is very much his own man, too. The local Liberal Party of Canada has now chosen their candidate in Kyle Harrietha, well known in the region for his political savvy and his understanding of the needs and issues of this region. There are others in the running now too, Tim Moen of the Libertarian Party (and someone who is both a friend and a bit of a political wunderkind, having garnered a significant amount of attention from across North America as he presents a libertarian approach to politics), and Lori McDaniel of the New Democratic Party. The candidate for the Conservatives is as of yet undetermined, but one can only hope that they focus less on creating crossword puzzles about the colour of their hair (don't even get me started on the egregious waste of tax payer dollars our previous MP engaged in while serious issues in this region went unaddressed) and more on convincing us to vote Conservative in this region - because I do think we will need some convincing after years in which the federal government has engaged in some neglect of our region. There is a great deal of lip service being paid to this being the economic engine of the country, perhaps the most important part of our economy as a nation, and yet woefully little has been done by the federal government in recent years to convince us they believe in our importance. Their input in this region has been shamefully lacking, and their tenure here has recently been marked by inactivity and even hindrance of progress as seen in the debacle surrounding the transfer of the land at Willow Square. I think a sense of complacency has set in, and I have heard that our Prime Minister will not even deign to come here during this by-election campaign, a crucial election for our region - and I think that is very telling. If our national leader cannot come to the "economic engine" of the country during a critical election regarding the future of our region what does this say about our true value and importance in the eyes of the federal government? What does that say about how they view us, and if they might take us just a wee bit for granted? Here's the deal, people. This election matters, and the future of our region matters. I am not going to tell you how to vote. I am not going to tell you how I am going to vote. I am going to say that I am tired of lip service about our importance and our value and a lack of action backing up that chatter. I am going to listen to the candidates, meet with them and do my best to weigh our options. I must say, though, that as a writer one of the most compelling campaign slogans I have ever heard is the one from the Liberals: "Hope and hard work". You see, hope and hard work is what political campaigns are all about, and I know this well first hand. But hope and hard work is what this region is all about, too, hope for the future and our families and our lives, and the hard work we put into making this a better place every single day. In fact I don't know if there is a place in this country where there is more hope, and where there is more hard work being invested every single day into continuing to be the economic engine of this country. I know I go into this election with hope and hard work, and whatever the eventual outcome is I know we will continue to hope - and to work hard to make this the best place in the country to call home. This election, you see, is just one more chance to combine hope and hard work in Fort McMurray. It is off-putting that federal Tories pay lip service rather than airfare to see Fort McMurray. As a realist, I see the Conservatives as viewing the region as a series of locked seats; they see no need to expend resources to campaign in the region considered safe, especially as political spending is under close public scrutiny. Only a loss will wake them up. It would be only one seat of many, but it would be a pinprick straight to the heart. In a region of so many newcomers, not everyone checked their former political colours at the door and go blue. Higher civic engagement can change the tide, but that is another issue unto itself. Citizens are morel likely to vote if they see a future in a location longer than any single election cycle. Unfortunately, a sizable portion of Wood Buffalo is unsure of that commitment. As always I appreciate Theresa's perspective on our community. I excited about the upcoming by-election and the re-energizing I see in all of our Federal parties and their supporters. And we have some fantastic candidates! I know Theresa won't plug the Conservative commitment to the region, but most of the Conservative MPs have been to the region. A few for gov't business, but most on their own time and own dime. I take them on tours. Our new air terminal, new interchanges and widened highway through town are all federally funded; the Conservative government doesn't want us to sit in crowds, lines and traffic while we support a big chunk of our country's GDP. Maybe we've been a little too quiet about what we've done, but it isn't going to stop - regardless of who we choose in the by-election, in fact. I too would be proud to show this region to our Prime Minister (again). I also understand, and hope all of you do too, that running a country with an economy that's the envy of the world has some other important duties too. Our PM hasn't forgotten us! And the upcoming campaign will be incredible in excitement and profile. Can't wait! And why is our economy the envy of the world? 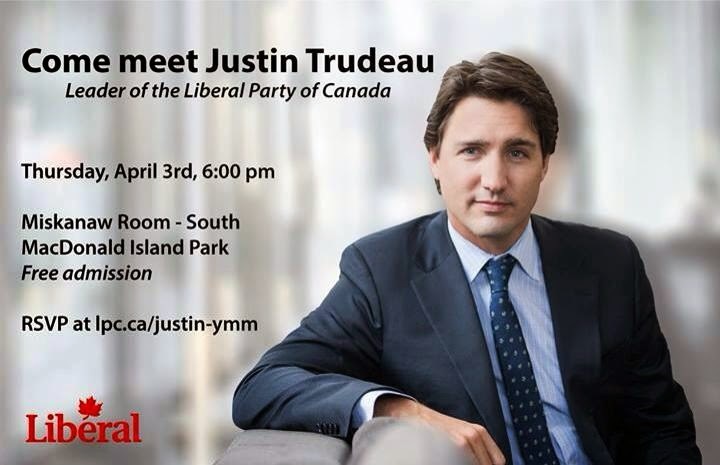 Oh yes - the oil sands, the economic engine of the nation but not *quite* important enough for a visit by our national leader during a by-election campaign. The Prime Minister hasn't forgotten the cash we bring in - but has he forgotten the place where it comes from? Perhaps. I share your excitement for the election, Kim, but I do not share your enthusiasm for what the federal government has done for our region in the last few years, as most of it has been far too little in comparison to our needs. If I can add my two cents to the discussion here, I find what the feds choose to focus on in our region to be quite telling. Highways, overpasses are all great and wonderful. I don't like sitting in morning traffic anymore than the next guy. Don't get me wrong, this infrastructure is sorely needed. However, it seems to me that much of this is focused a lot on the economic side....getting people to work, making it easier for companies who deal with the oil sands here and so on. The government seems keen on being full-blown development and getting people to work here yet does little when it comes to our small hospital, aging in place facility and environmental issues to name just a few. Its very frustrating to discuss these issues in online forums without getting the whole "but you make a lot of money so you should be happy or just move on" spiel. I've lived throughout the north my entire working life so I'm well aware that transportation and infrastructure can costs some serious coin. I would submit though that doing nothing or everything ad hoc costs even more over the long run and this seems to be the current government's modus operendi. In Nunavut, we were just one seat out of 309 so we were used to being ignored and flights were an arm and a leg but give me a break, the government really needs to wake up and realize there are actual people living here and that our region isn't some magical ATM.